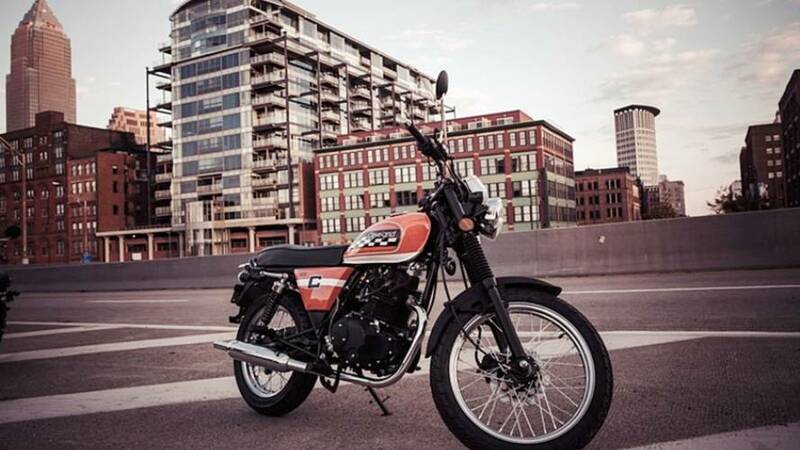 Ohio-based Cyclemaker Cleveland Cyclewerks Debuts four Models For Growing Indian Market. If you have not been paying attention, the Indian motorcycle market is booming, marking up 23 percent growth over last year. Large companies are already in—Harley-Davidson and Honda have large operations here—and a lot of companies are scrambling to cash in on India's thirst for new iron. Royal Enfield dominates the Indian market with its basic 350cc UCE Classic Bullet. Cleveland Cyclewerks wants in on that action, and with Enfield pumping out 60,000 bikes per month, grabbing even a mere 2 percent of this market would send CCW into the major leagues. Back in February, we mentioned that CCW had its sights set on the Indian home market. Now, according to the Financial Express, CCW announced some concrete plans. This summer, two CCW models—The Ace and the brilliantly named Misfit—are headed to Indian showrooms. Two additional models known as Scrambler and the Ace Deluxe are scheduled to follow in October. All of CCW's bikes are based on the well proven CKD 229cc powerplant produced in China. The CKD engine is essentially a license built variation of the Honda CMX250 single mated to a five-speed trans. Upmarket versions include Inverted forks and disc brakes at both ends. The Bikes are assembled in CCW's factory in Pune, India. No mention, however, of CCW's original chopper based model The Heist. Perhaps Indian roads are not ready for a hardtail. Price point comes in at RS2 lakh, which is almost exactly the cost of a home market 350 Enfield, or about $2,300 according to MSN's currency converter. I have high hopes for Cleveland, their line of fun and useful motorcycles is just what the market needs.